Great Atmosphere – Hippopotamus love | Great Atmosphere. The hippopotamus (Hippopotamus amphibius), or hippo, from the ancient Greek for “river horse” is a large, mostly herbivorous mammal in sub-Saharan Africa, and one of only two extant species in the family Hippopotamidae (the other is the pygmy hippopotamus). 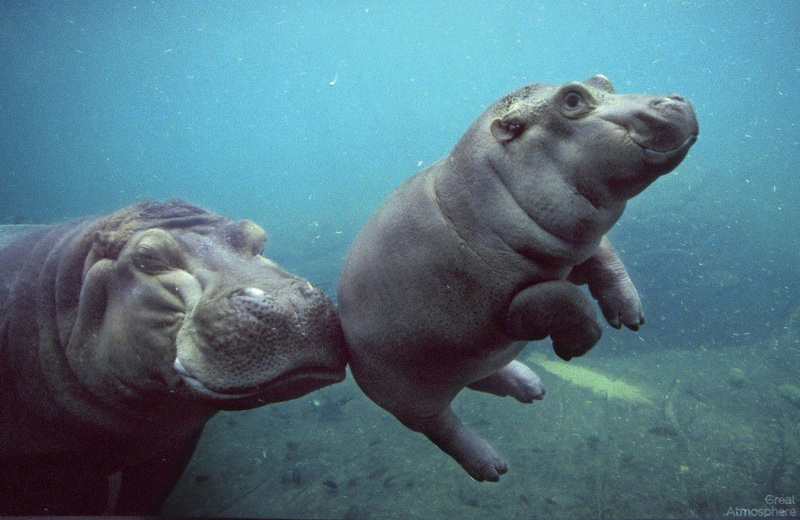 Categories: Animals, Mood | Tags: animal, Atmosphere, baby, beautiful, great, Hippopotamus, nature, photo, photography | Permalink. Lol, no you don’t want to go diving there. They’re extremely dangerous to people. Strange but true – hippos kill more people in Africa each year than any other big animal.